Beautiful Two Harbors Sunset taken by Christian Dalbec of Two Harbors. I am in the UK but a frequent visitor to this web site,pictures like this make me want to go there and see it in the flesh! I agree with the commentor above! I am in New England and am a frequent visitor. I want to go there in person so very much. Definitely go visit. 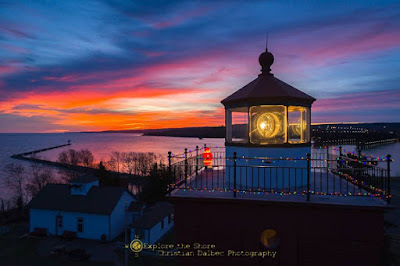 As an added bonus the lighthouse in Two Harbors is a B&B and you can stay there.